By self-development and absorbing the advanced foreign technology, Fanway Fish Feed Machinery manufactures high-efficiency fish feed grinding machine named as 9FQ Series Fish Feed Hammer Mill. It is used to grind fish feed raw materials, such as soybean straw, peanut vines, Ipomoea batatas, and other coarse materials, like branches, peanut hull, sorghum, dried grass etc. it has such a wide application in fishery, animal farms, starch factory, and animal feed plants. 9FQ series fish feed hammer mill is with high grinding efficiency, low energy consumption, simple structure and easy to maintenance, being an ideal feed grinding machine in shrimp and tilapia feed manufacturing process. 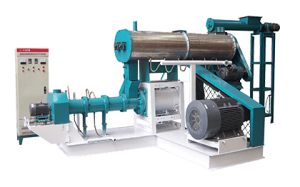 Rotor: adopting multi-blade arrangement combination form, which fully improves the sieving ability after fish feed raw materials crushed, and increases the handling capacity of the hammer mill. 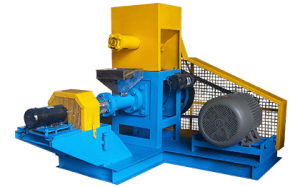 Crushing chamber: also called pulverizing chamber. The crushing chamber is made up of a box plate, a tooth plate and a sieve plate. Consumers can utilize a variety of auxiliary equipment to complete the collection, delivery, or other processing procedures, according to specific working circumstances. 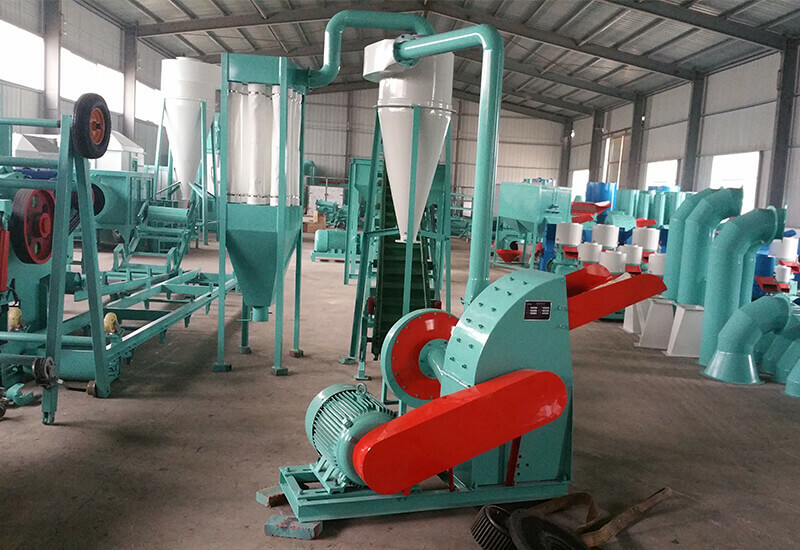 In Fish Feed Pellet Plant, fish feed hammer mill is connected with fish feed mixer. ☑ Operate the grinder machine strictly following the operating instructions. Checking and cleaning the machine each shift. ☑ It is a normal phenomenon that the bearings heat (not higher than 25℃ ) after this feed grinding machine works for a period of time. If heat up to 60 degrees, it is proved that the bearing has been aging, then consumers should stop to replace the bearing or clean it. 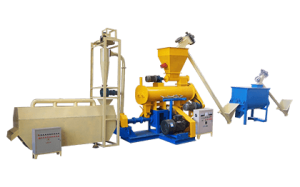 Hi, what is the difference between the Hammer mill and the Droplet Fish Feed Crusher? Is it necessary to use both of them in a production line?